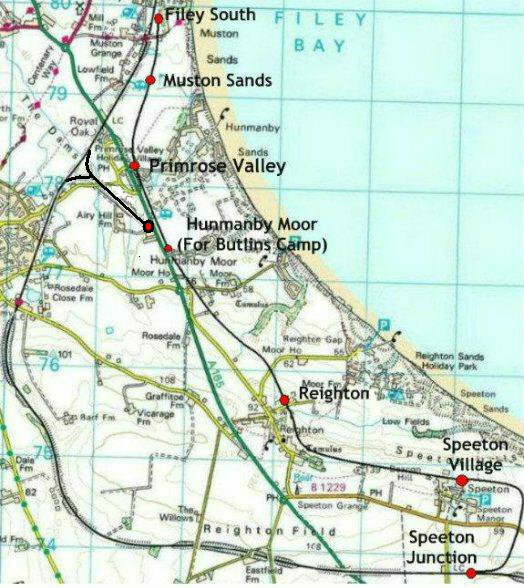 Muston Sands is a small station overlooking Filey Bay on the North Yorkshire Coast. Or it could be, the place is real enough but the narrow gauge railway is fictional. This layout was last exhibited at Malbank College, Nantwich, 26th February 2017 and has since been altered from On18 to On30 by replacing the track and rebuilding some of the stock. Original, On18, above and rebuilt, On30, below. 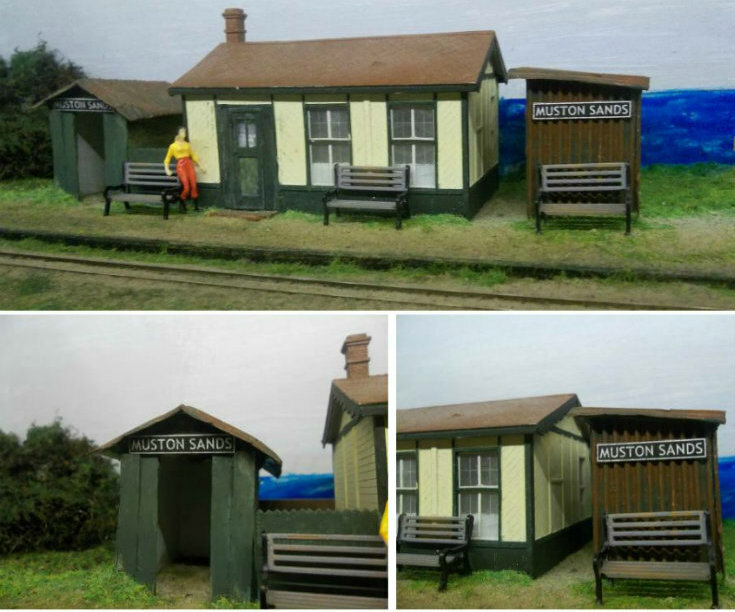 A selection of small locos from the FCPyF have also been reallocated for use on Muston Sands. Apart from the replacing the running track conversion to On30 has lead to removal of the siding through the goods shed because the original loading gauge was slightly too tight. A new annex covers the former doorway at the visible end of the shed. Operations are still the same, simply trains running through the scene with some of them calling at the station.